Hey there. Thanksgiving is coming! I LOVE Thanksgiving! What I don't love is the extra poundage that comes with it. But fear not, my friends! I bring you a challenge that will keep that waist line in check and it will take no more than 3 minutes a day! 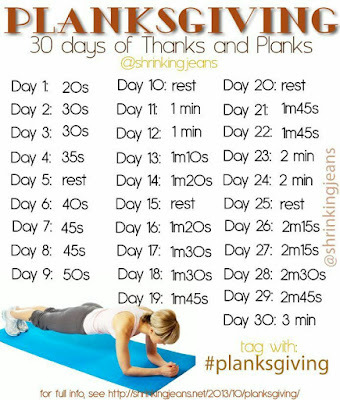 Enter, the Plankingiving Challenge. This challenge comes from our good friends at ShrinkingJeans and it's a good one. Planks are often over looked and they should be a staple to anyone's workouts. 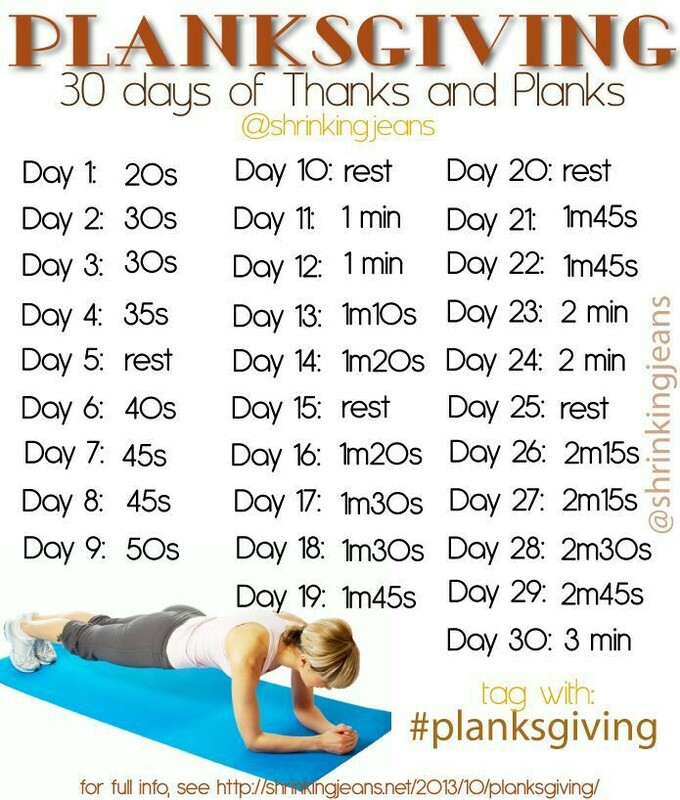 By keeping up with this schedule, you should be able to build up to a 3 minute plank in no time! 3 minutes!!! I'm up for the challenge. When I used to plank regularly, I was able to just top the minute mark so I'm looking forward to smashing my personal best! Hope you guys are too! Later!